Today I met with my incredible staff at a restaurant (Gabriel’s) in Santa Fe, NM. The food was wonderful. After a great meeting I was dropped off at the Santa Fe Plaza. My wife is joining me for a wonderful concert of American music presented by the Desert Chorale. It has been strange being on my own. I have spent my time wandering the streets and visiting the Loretta Chapel and the St. Francis Basilica. No one would have branded me a Methodist in this all Catholic setting. My secret was safe with the exception of the cross that hangs from my neck. No crucifix, my secret is revealed! 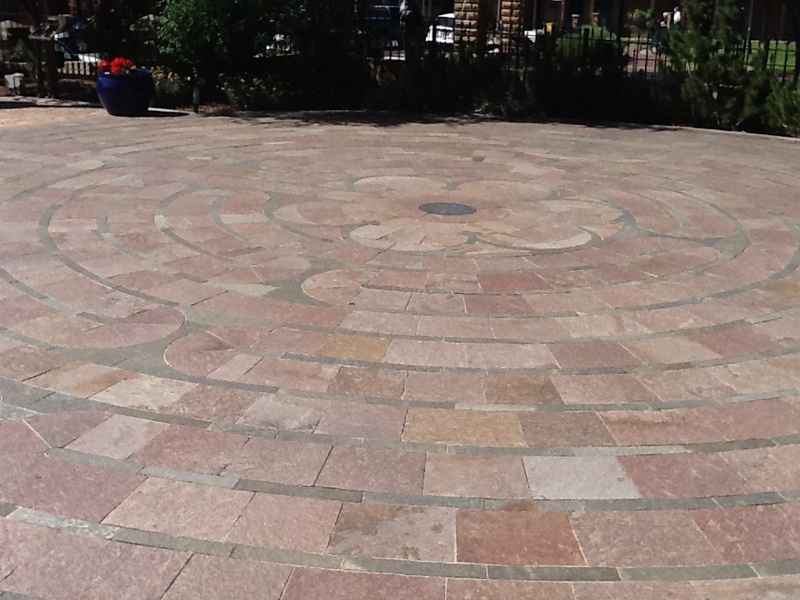 When I left the Basilica, I noticed a labyrinth outside of the church. I decided to walk the path and did so in silence. The intricate inner workings of the design took me approximately 30 minutes to walk. As I continued on my journey, I tried to clear my mind of the world around me and concentrate on taking the next right turn on the path. Sometimes there were distractions along the way. The street was filled with cars that filled the air with unnecessary noise. I tried not to let the external chaos overwhelm me as I attempted to listen to my soul. I prayed for my family; for my sons. I prayed that I would continue along my path to be the person, pastor, husband, father, friend, etc…that I am called to be. I had to concentrate on my journey. 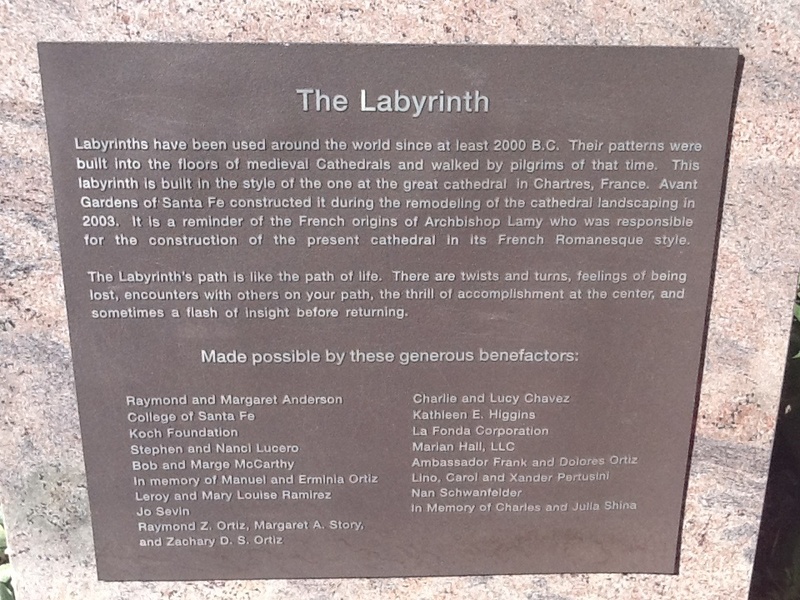 While I was walking several people started to follow the labyrinth’s path. They were noisy and did not exhibit a sense of solemnity as they ran up and down the colored bricks that indicated the road to the center of the pattern. It was distracting and at times I wanted to break my silence and simply say, “Please be quiet!” Realizing my response would negate the reason I began this journey in the first place I decided to be quiet and make room for the intruders into my holy space. Despite everything around me, I finished walking the labyrinth. I walked to the center and then back out to where I began my odyssey. Taking this quick 30 minute journey made me realize that as I continue down my spiritual path I will encounter noise, distractions, and fatigue. All of these outside influences should not interrupt my walk. I should push forward with my eyes focused on the next right step and the next right turn. It is my focus on God that carries me through the challenges that I encounter. I am grateful that I am on the road and that I am a child of the One who guides my path. I hope to have more moments to simply be still and focus on God. This entry was posted in Uncategorized and tagged Christianity, faith, Holiness, Spiritual. Bookmark the permalink.